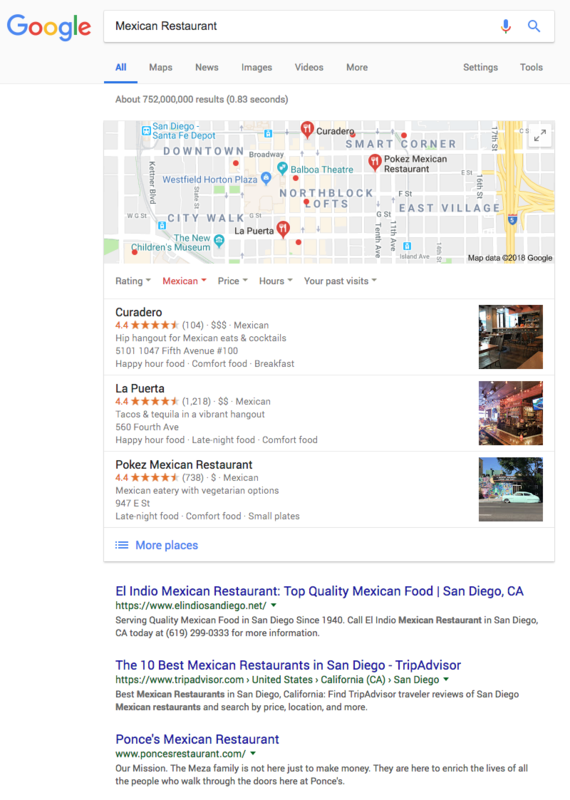 You’ve probably noticed that when you search for something on Google, especially for something like a doctor, a restaurant, a service of some kind, etc., Google map results dominate the search results. 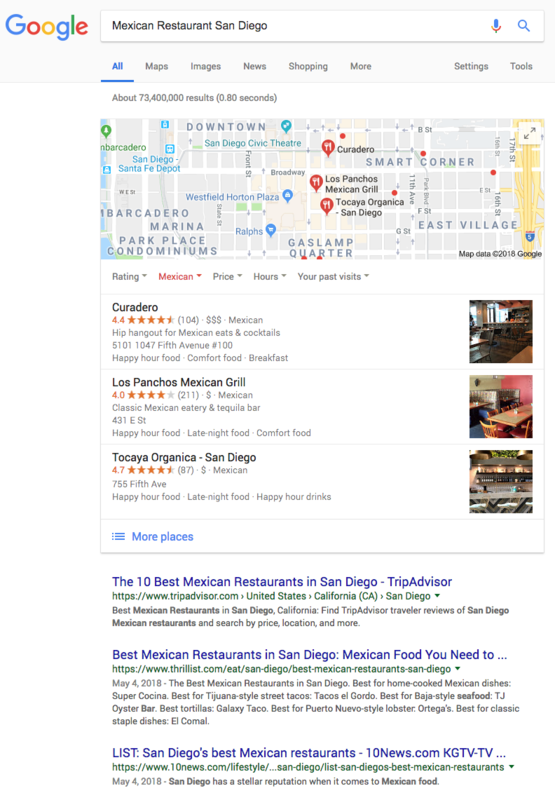 Hopefully, you’re showing up in those map results, because after Google Ads and the maps listings, the organic results are often the 7th or lower listing. Let’s repeat that: a website ranked first organically for a search can still be number 7 in a search result. 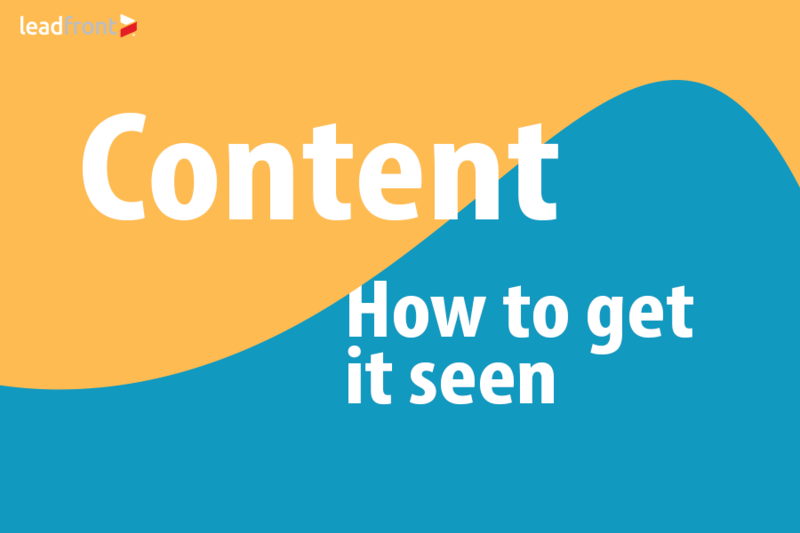 All your SEO work, and you might not get a glance! Google maps matter, and therefore, geography matters. So How Does Geography Factor In? Say you’re currently in Los Angeles, but you actually need a doctor in San Diego, where you live. Or maybe you’re looking for a restaurant in San Diego. 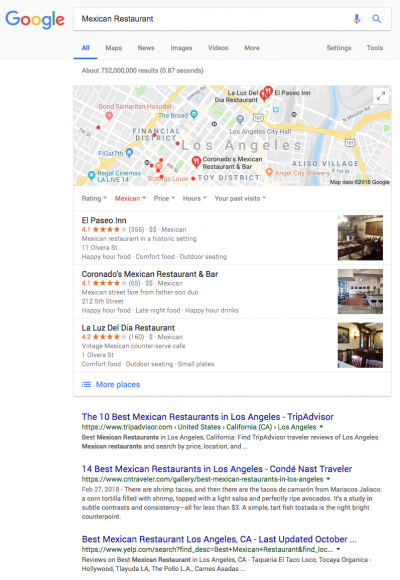 How are search results going to vary as you search for a restaurant while in either city. 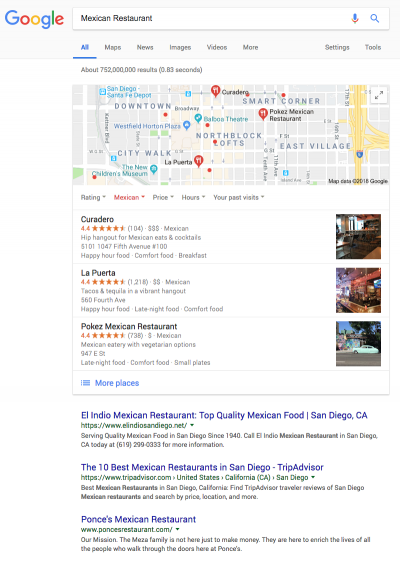 Let’s look for Mexican Restaurants In San Diego and Los Angeles. We’ll use this great tool from Bright Local to check local search results. 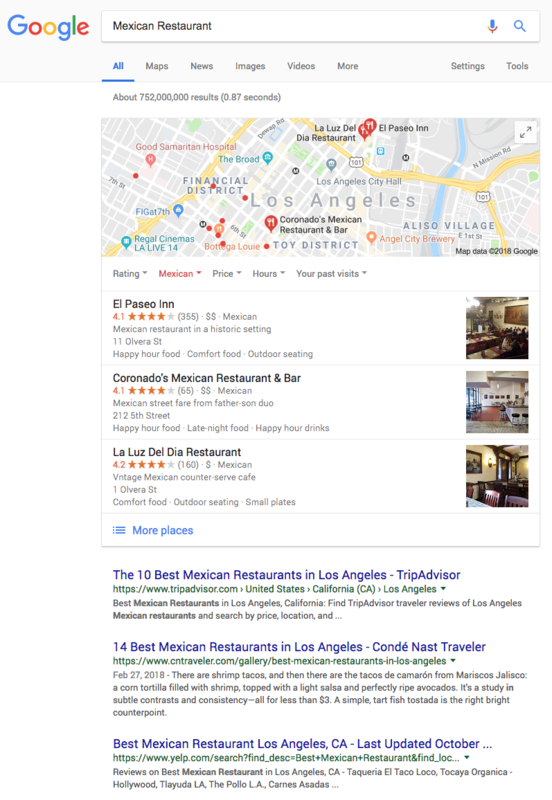 Notice that both the organic and map listings are very different for every search, depending on location. 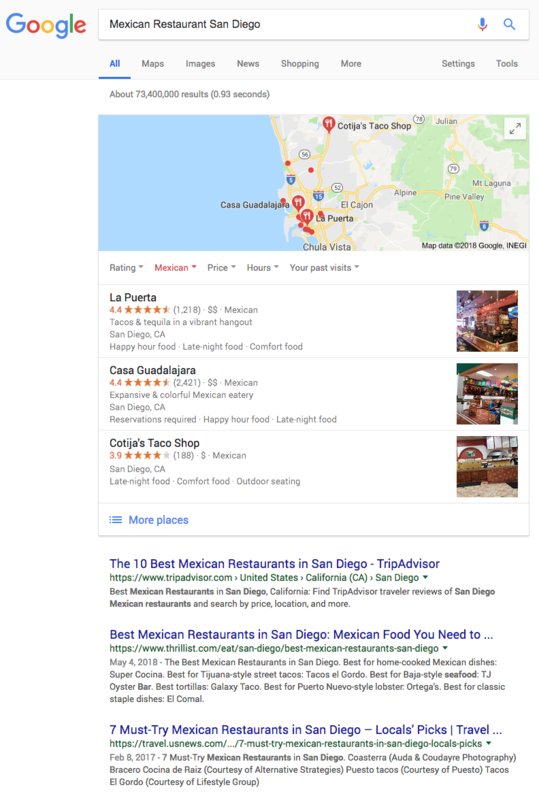 The big point: you can do the same exact search, and depending on where you are currently located, the Google results will change. Even if your search includes a geographic target. Google results are often proximity-based. 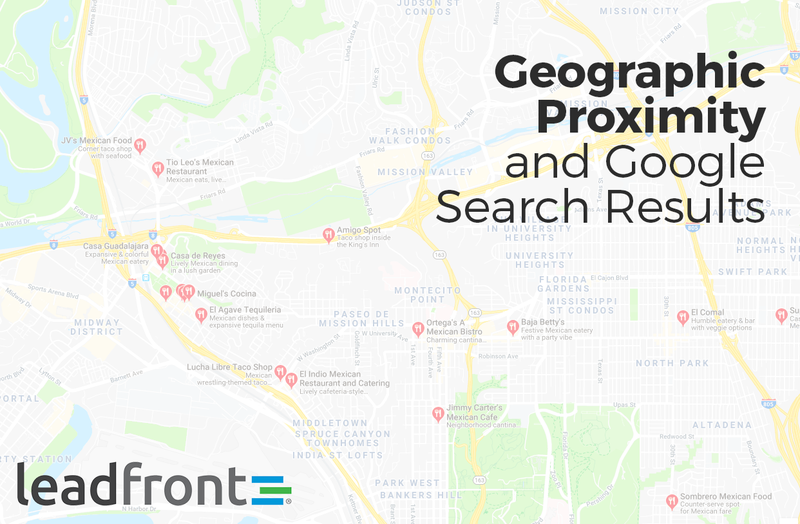 In fact, proximity is just about the most important factor Google considers for local search queries. That makes sense, right? If you’re searching for a dentist, you don’t want to see dentists 20 miles away. This, however, is a problem for a lot of businesses. Say you live in the suburbs of a major city, and want to rank for searches related to the big city. This is actually a very common request we get. You’ll likely find this difficult to do organically, meaning just through SEO efforts. 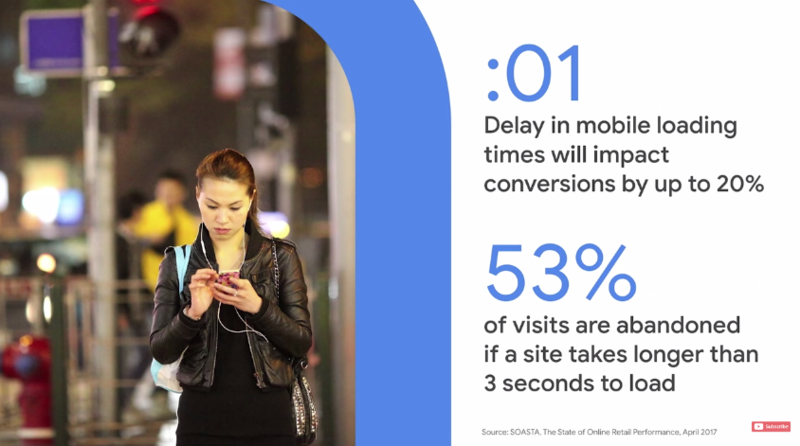 This is, in fact, a big trigger for businesses turning to Google Ads; they need to penetrate other geographic markets. 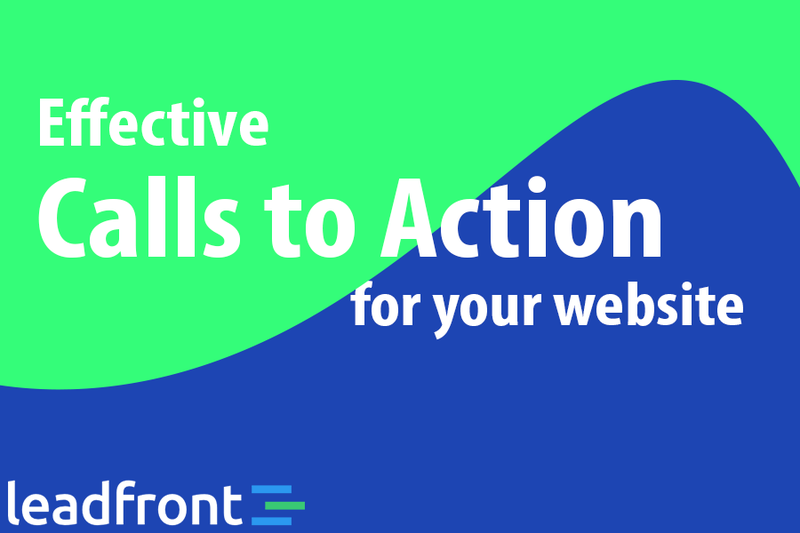 Another strategy is to create city pages, or landing pages that focus on the city you want to rank for. The hope is that Google associates your business with the city you’re talking about on your site. You can make your url end in the city name, and make your title tag mention the name of the city as well. This isn’t a ploy to trick Google (at least, it shouldn’t be). Many businesses in the suburbs actually do service mostly people from a larger nearby city. Furthermore, people are often looking for the “best” of something, not just the closest. Many businesses are tempted to create additional Google Business listings in the cities they want to target, even if they don’t have a location there. 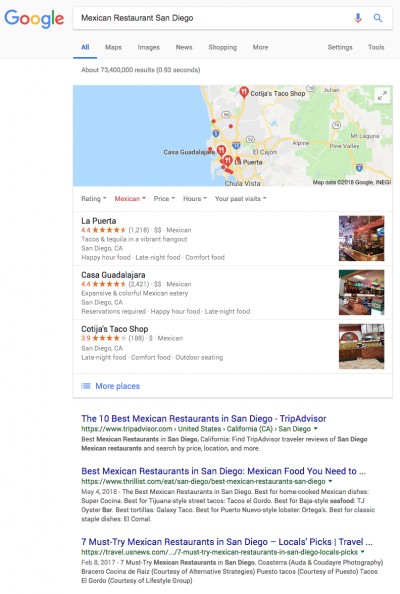 Creating GMB listings at an ineligible address is a no-no in Google’s eyes. Remember, they are trying to create an amazing tool for the end user. Misleading listings can get your business flagged.